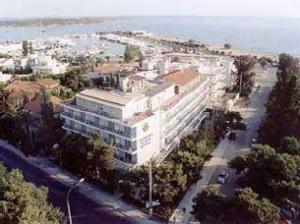 Palmyra Beach hotel is situated in Glyfada Athens Greece. 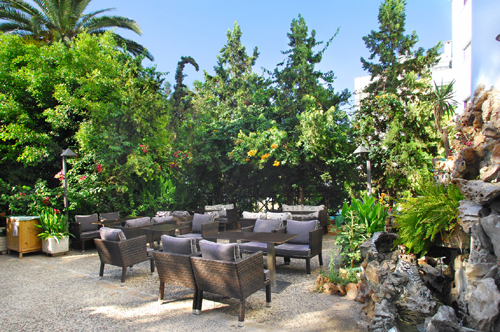 Come to enjoy a fascinating holiday sea resort in Glyfada, a resort full of restaurants and tavernas offering the best in Greek food and wine and infinite other pastime possibilities for visitors. 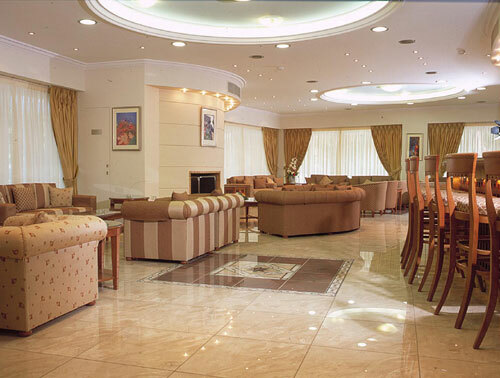 We provide all the modern facilities, excellent accommodation services and discount offers. You will note that Palmyra Beach is ideally located for travelers who wish to broaden their knowledge of Greek culture and learn more about ancient Greek art and mythology. 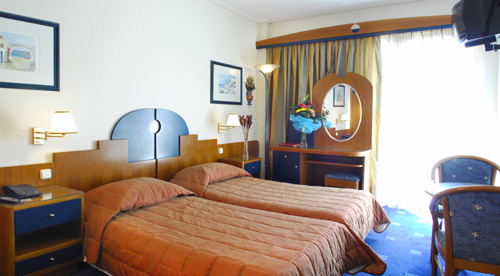 Hotel guests can commute easily to the Greek ancient sites of Athens, to the Acropolis, to Cape Sounion, to museums and to other major historical sites. 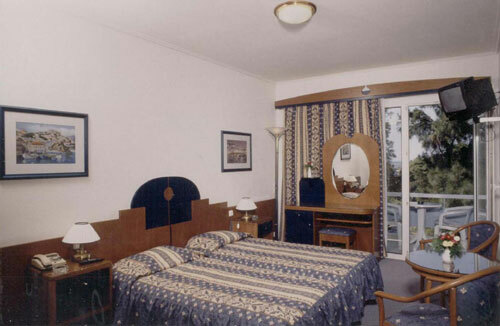 The hotel serves also an excellent base for sightseeing tours, boat cruises and getaways to any Greek island. 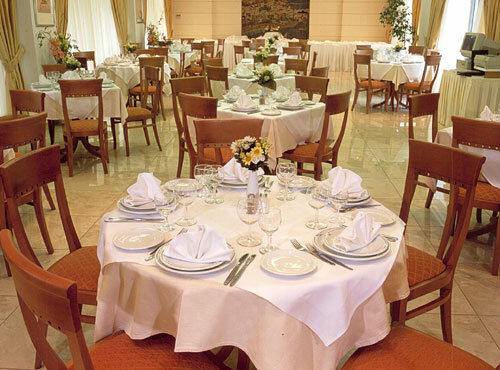 Our elegant restaurant is open for breakfast, lunch and dinner. 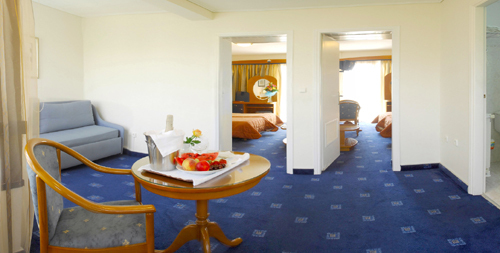 Enriched continental breakfast, English and American breakfasts are served in buffet style. 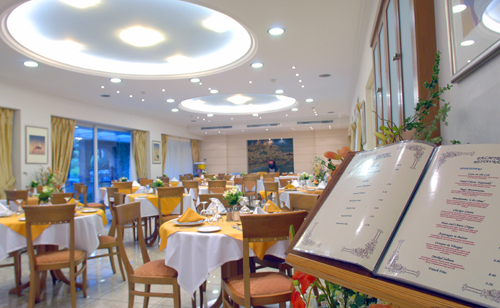 Our A La Carte Menu features many appetizing Greek and International dishes. On our extended Wine List you will find a large selection of the finest Greek wines. 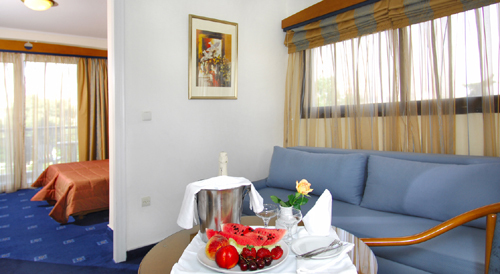 Our Room Service Catalogue includes a variety of light snacks and drinks. The cocktail lounge is a popular meeting place for our guests and local business people. 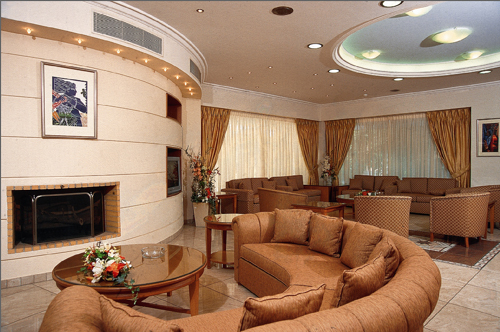 The selected soft background music creates an intimate atmosphere, suitable for conversation. Our professional bartender will mix the exotic cocktail or traditional drink of your choice. Our banqueting services are designed to cater for all special occasions such as engagement and wedding receptions, club dinners and dances, birthday and children's parties, The banqueting manager will ensure that your specific orders and requests are fulfilled and will make your special occasion a lifetime memory. 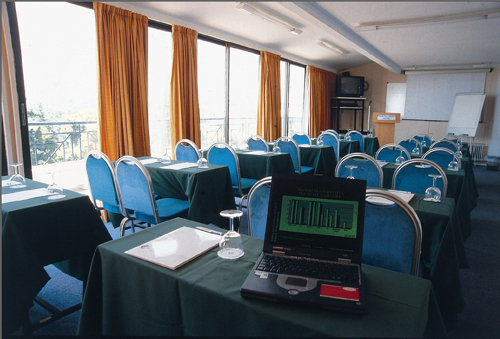 Our vast experience in organizing conferences and seminars, together with the latest in audio-visual equipment will guarantee the success of your meeting. To accompany such events our catering department can provide a large selection of light lunches and refreshments. 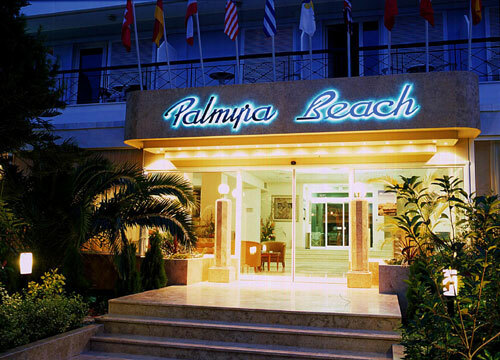 Our aim is to ensure that your visit at the Palmyra Beach Hotel is a memorable one. Whether you are in Greece on holiday, on a business trip, going to any Greek island or have other reasons for being with us, my staff and I will do the utmost to satisfy all your travelling needs and wants, and make your stay relaxing and enjoyable. 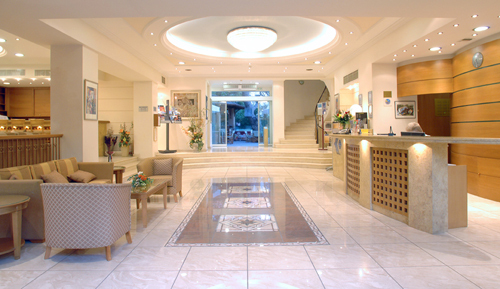 Our hotel staff is committed to spend time with you, to plan your travel itinerary even in any Greek island and answer any questions that you may have, prior to or after your arrival. If you are familiar with PALMYRA, please share your opinion of it with other travelers. Write a review! The staff is very pleasant; the rooms could use some updating but they are clean; the lobby is comfortable and the outdoor lounge is pretty. 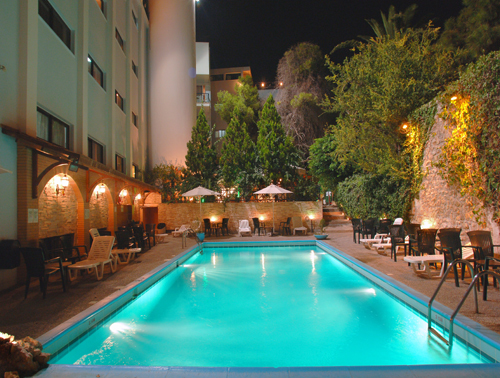 A short walk from downtown Glyfada makes this a perfect place to stay.